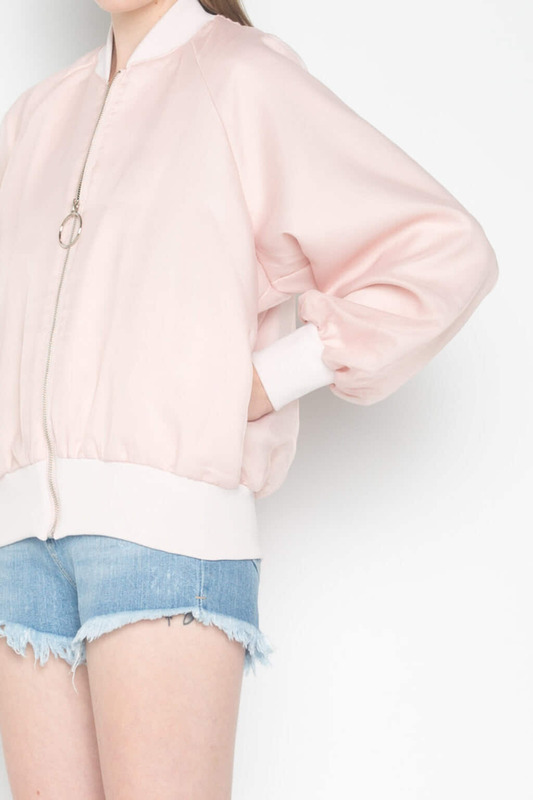 An upgrade from your classic bomber, this lightweight jacket comes in a baby pink which is perfect for the warmer weather. It features a soft pink mesh overlay for a feminine and delicate touch, while the ring zipper gives this piece a slight edge. Pair with a t-shirt and high-waisted shorts for a cute and casual look.